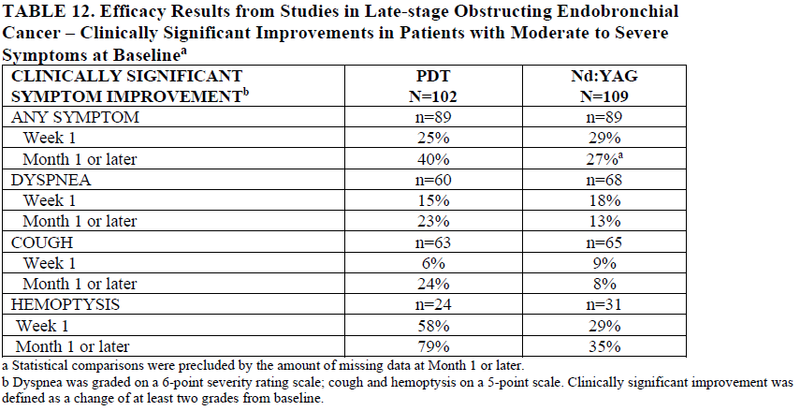 Objective Tumor Response: In studies of patients with late-stage obstructing endobronchial cancer vs: Nd:YAG Laser therapy, PHOTOFRIN PDT showed objective tumor response rates (CR + PR), which demonstrated reduction of obstruction, and atelectasis improvement. 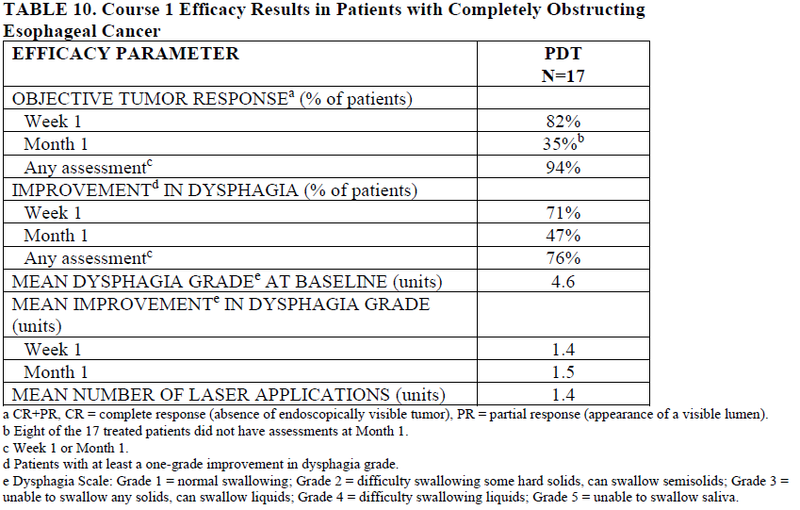 Improvement in dysphagia: In patients with completely obstructing esophogeal cancer 76% of patients experienced some palliation of their dysphagia in either Week 1 or Month 1 assessments. 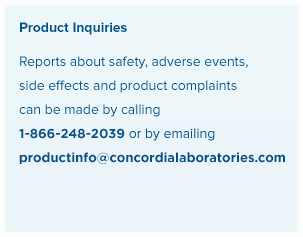 All patients who receive PHOTOFRIN® will be photosensitive and must observe precautions listed in the Prescribing Information.